File tag 24" with aluminum tips. Elastic Tags comes with REGULAR / VIVEK / SUPER Tip options. Size Options starts from 2"(Inches) and above. Our company holds vast experience in this domain and is involved in offering Office File Tag. 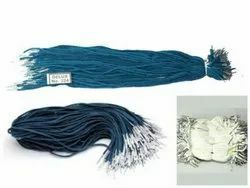 We have gained a remarkable position in the market that is involved in the offering of Nylon Tag. 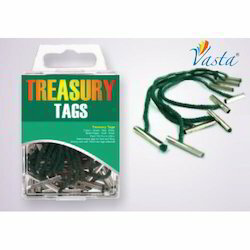 - We manufacture treasury tags (file tag) of various varieties of cords with different qualities of tin ferrules tip with size ranging from 5 to 10. We are one of the largest organizations engaged in offering our clients with best quality of File Tags. We offer 5 star treasury tags elastic to our customer.